Was out for Wings and appetizers the other night at Pluckers. 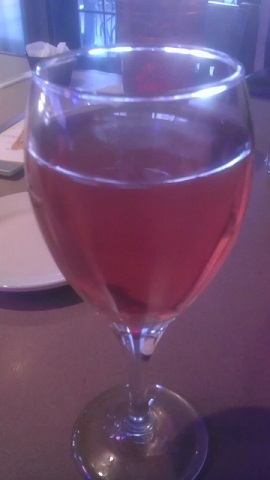 Ordered a glass of White Zinfandel. Did not see the bottle so we don't know the Winery but both Winos liked it and agree to buy again. This one gets a "Good Rating". Bought this one from a local wine and spirits store. Had not had Chianti in a while. The Red Wine Wino has a weakness for Chianti; it's his favorite red wine. 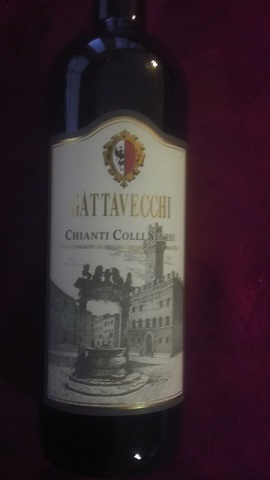 This Chianti is botttled by Gattavecchi Luca E Gionata S.s in Montepulciano, Italy. It is made from 90% Sangiovese and 10% native red grapes. Label says it is ideal with red meats and fresh and seasoned cheeses. To the Red Wine Wino, it tastes good all by itself. Both Winos agreed to purchase again in the future, earning it a Good Rating. Red Wine Wino goes one step further and is ranking the Winos' the Number One Chianti! 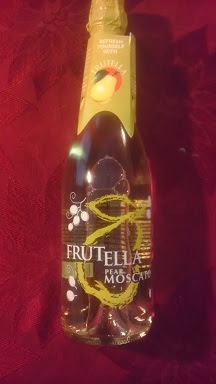 Here is a Moscato that we have not tried before. Comes from Frutella and is made from pears! Tasty wine that is sweet and sparkling (so it is bubbly). Rated at 7% alcohol content, so teetotalers should not have an issue with a glass or two. Red Wine Wino had no issues with it other than it needs a little more "umphh" in alcohol content. White Wine Wino liked it but does prefer Moscatos that don't bubble. This one gets a Neutral Rating. 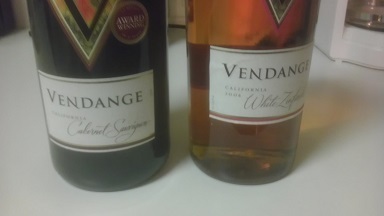 Bought a Cabernet Sauvignon and a White Zinfandel from Vendange Winery of California. Both Winos agreed to buy the Cabernet Sauvignon again; it earned a Good Rating. Mixed results on the White Zinfandel. Red Wine Wino had no issues; White Wine Wino preferred to purchase others in lieu of this one in the future. It earned a Neutral Rating. 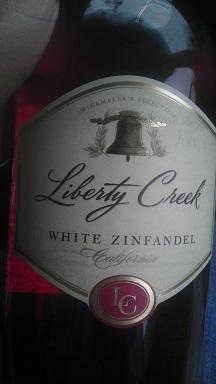 Picked up a big bottle of Liberty Creek White Zinfandel at a local convenience store. Had tried there Merlot and Sweet Red before and liked them. This one gets a Good Rating, too. Both Winos agreed on future purchases. Was out the other night at the local driving range - Top Golf. 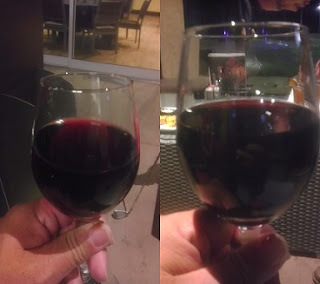 Ordered a couple of glasses of their House Red Wine. Did not get the brand but did like them both - Merlot and Cabernet Sauvignon. Both get a "Good Rating" from the Winos! This is a blended red wine that comes from Argentina. 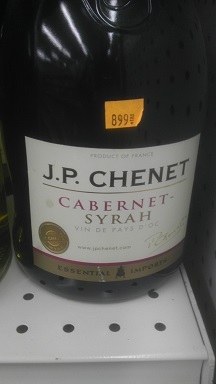 Offered by J.P. Chenet, mostly Cabernet than Syrah, it does turn out to be a tasty red that the Red Wine Wino liked. White Wine Wino agreed to purchase again, too. So, it gets a "Good Rating". Even better, the big bottle goes for $8.99 before taxes... not bad, not bad! Having a hard time finding the White Zinfandel Merlot Blend from Beringer. Looks like it did not stay on the shelf for long. Decided on s Sweet Red from Woodbridge. 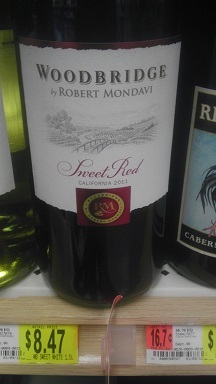 It's made by Robert Mondavi under the Woodbridge label. Tastes good, like the price on the "big bottles". This one gets a Good Rating! We tried this one in its 2010 offering; it's just as good in its 2011! We tried it again, we liked it again, and would buy it again... so, it gets a "Good' rating, again!. Still has a sweet taste that reminds us of Llano's Sweet Red! 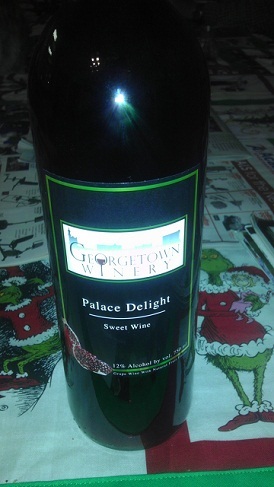 Here is a red wine that is offered by Georgetown Winery in Texas. It's another holiday special that came out this past Christmas. Tasty wine but having a tough time deciding on this one. Going to give it a Neutral Rating. 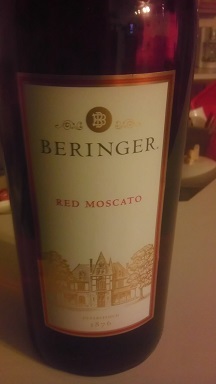 The wine tastes good but lacks a little "oomph", no label for its alcohol content but it seems low.